With less recovery time between the Giro and Tour in 2019, it is unlikely any heavy hitters will try to win the overall in both. If 2018 was the year of the Giro-Tour double, this coming season likely won’t see many of the major grand tour stars take a shot at one of cycling’s most elusive achievements. So far, Movistar’s Mikel Landa is the only top rider who’s hinted he might race both the Giro d’Italia and the Tour de France in 2019. 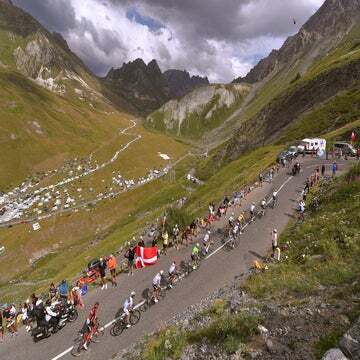 While race schedules are yet to be finalized, most of the other major GC riders in the peloton seem to be shying away from the heft of the double attempt in 2019. Look no further than Team Sky. 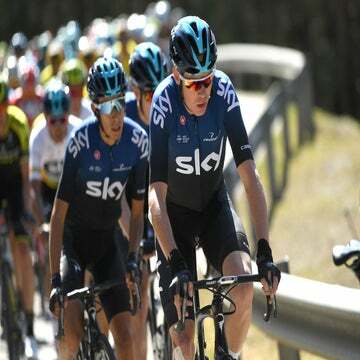 Tour champ Geraint Thomas and defending Giro winner Chris Froome have both strongly hinted that the Tour will be the center of their respective calendars. For both of those riders, the lure of the Tour is too much to resist. Froome, who won the Giro in May and finished third at the Tour, also said he’s leaning toward an all-out push for the yellow jersey in what he hopes will be a record-tying fifth victory. Tom Dumoulin (Sunweb), who finished second in both the Giro and Tour in 2018, says he’s still undecided on how his calendar will shape up. The big Dutchman says the Giro route with its longer time trial kilometers suits him better than next year’s climb-heavy Tour route. However, many expect Dumoulin to tilt toward the Tour at the expense of the Giro. Quintana, who fell short in a 2017 double attempt with second at the Giro and 12th at the Tour, has already confirmed he will not race the Giro in 2019. Romain Bardet (Ag2r La Mondiale) admitted he’d love to race next year’s Giro, but said the combination of sponsor demands and a climb-friendly Tour route means he’ll put July at the center of his 2019 calendar. Vincenzo Nibali (Bahrain-Merida), one of only two active riders who has won all three grand tours (alongside Froome), is expected to make a full push for the Giro. He last tried the Giro-Tour double in 2016, when he won the Giro but was not a factor for the yellow jersey, in 30th overall. Once considered too difficult to realistically confront both races in top form, the demanding Giro-Tour double has returned to fashion the past few seasons. More major riders have taken up the challenge with varying success. Alberto Contador gave it a good run in 2015, winning the Giro before going fifth at the Tour. Quintana tried in 2017 with mixed results, finishing second to Dumoulin at the Giro before finishing a flat 12th at the Tour. Both of them said the hard effort at the Giro left them empty for the Tour. So why did Froome and Dumoulin — the closest anyone’s come to pulling off the double in decades — fare so well in 2018? Soccer’s World Cup. Tour organizers bumped the race back a week later in July to limit overlapping the race with the popular soccer tournament. This year’s Giro ended May 27 and the Tour started July 7 for a total of 40 days between. An additional week spaced out the two grand tours. That might not seem like much, but both Froome and Dumoulin said that full week of recovery was decisive to their commitment to the 2018 double attempt. Dumoulin doesn’t expect any GC rider to realistically hope to fare well in both grand tours. Next year’s Giro ends June 2 and the Tour starts July 6 with only 33 days in between, so don’t expect anyone racing to win the Giro to have a lot of firepower left in late July. Next year’s Giro is expected to draw riders such as Nibali, Fabio Aru (UAE Team Emirates), Simon Yates (Mitchelton-Scott) and perhaps Egan Bernal (Sky). None of them are expected to race the Tour, and if they do, the yellow jersey wouldn’t be a realistic goal. The mark left by Marco Pantani — who became the last rider to pull off the double in 1998 — looks safe for now.